Instead of analyzing a successful driver's swing, let's focus on what beginner golfers, or golfers who have problems generating power on their drives, do incorrectly. Golf drives are one of the most intimidating and yet most rewarding shots in golf. Your first tee shot is a stressful and exciting shot, and the excitement is multiplied when there a lot of people watching! Your tee shot and drives can signal how well your round is going to go, or how well the next hole is going to be played out. Your tee shots are also a chance to turn around a previous bad hole and set yourself for success. Golf drives are so important we call most practicing facilities "driving ranges"! 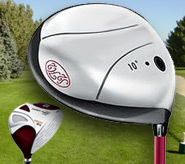 Which is more important to you: a longer drive, or a more accurate drive? 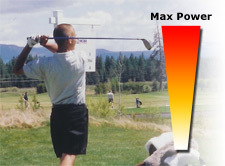 If you answered the more accurate drive then you are already on your way to becoming a better golfer. The reasons accuracy are important over distance are obvious, the more accurate you are..the more of a chance you have to land on the fairway...and we all know the fairway is the place to be! 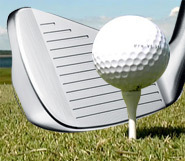 In addition, if you learn to drive the ball with more accuracy using your driver or wood, you are showing control over the biggest club in your bag, which should lead to even better accuracy with your irons. 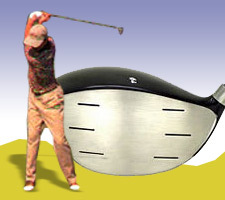 I hear it almost every single weekend while watching golf on TV...what is wrong, if anything, with professional golfers using over-sized drivers with technology that seemingly keeps on increasing driving distance? This has to be one of the most hotly debated topics in golf today, and a topic that not only has an effect on pro golfers, but amateurs as well. What's the one thing almost every single golfer does when they step up to the first tee with their driver in their hands? If you said hit the ball as far as possible you'd be correct! 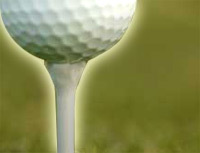 However, the smart golfers say to themselves that they'd rather hit the ball WHERE they want, not as FAR as possible. The difference is that intelligent golfers will consistently choose a target and would rather hit the ball with accuracy and precision rather than with a greater distance. Would you rather hit the ball 250 yards in the middle of the fairway? Or 290 yards into the deep rough? Obviously best case scenario would be 320 yards down the center of the fairway but if that were the case you wouldn't need to be reading this right now! 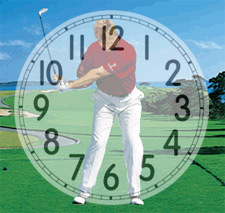 Most golfers have a pre-swing routine, some kind of physical procedure to get into a ryhthm and feel comfortable. You may step up to the ball, select your target, and then get ready to swing. You may visualize your swing or try to determine how to swing based on your target, but most golfers do not take the time to think about their stance and pre-swing "settings". 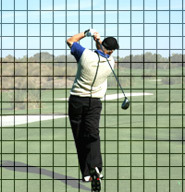 So you have your accuracy under control, or at least under control enough to use a fairway wood or driver off the tee. Now what you want is more distance! 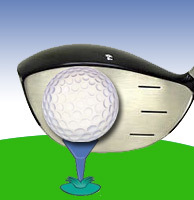 On just about any hole that allows you to hit a wood off the tee, being closer to the green or pin on your second shot allows you to use a lesser club on your next shot. The lesser the club, the more control you should have when approaching the green.